Back and forth, over and undone....sometimes creating takes us in other directions than what we had planned. 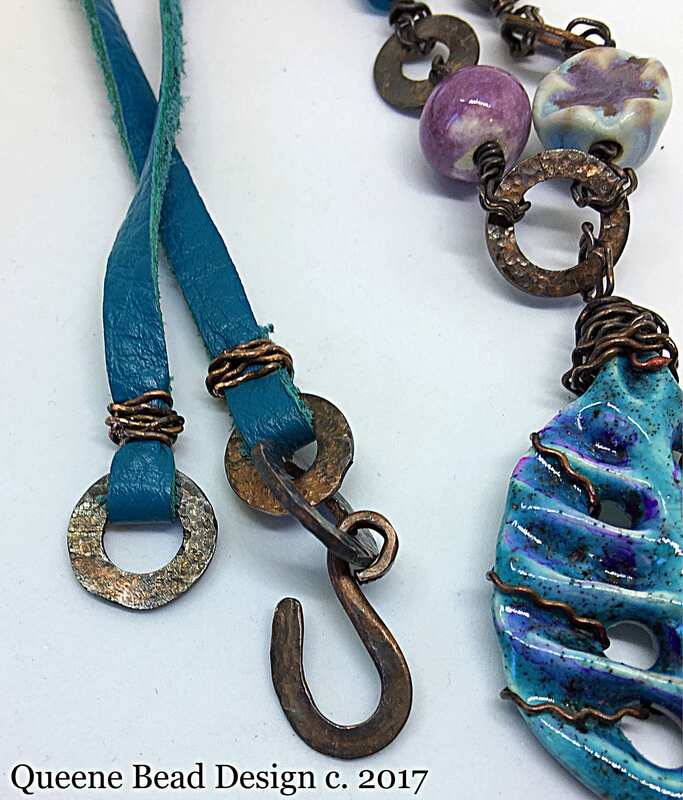 Artisan ceramic beads are woven through with zig-zaggy copper wire, hand textured copper washers and a hook made out of a tube. 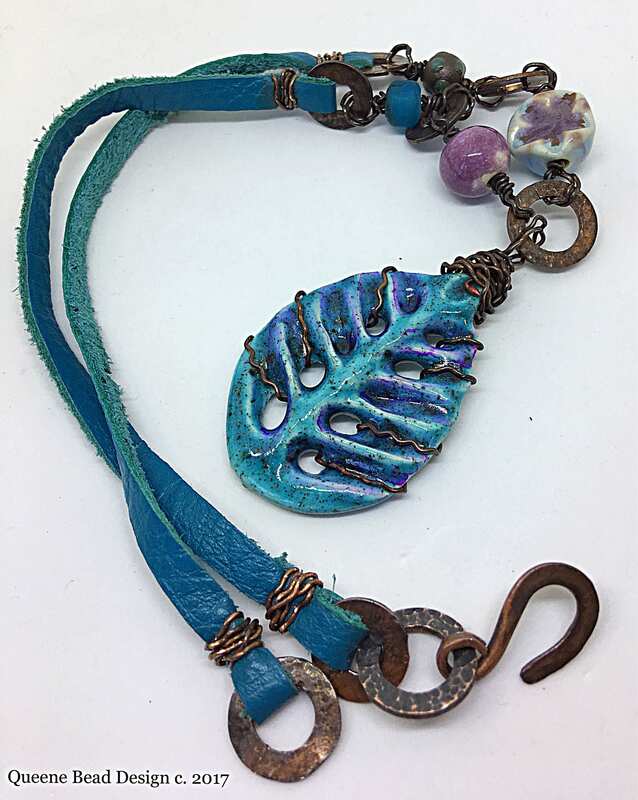 Turquoise leather highlights it all. 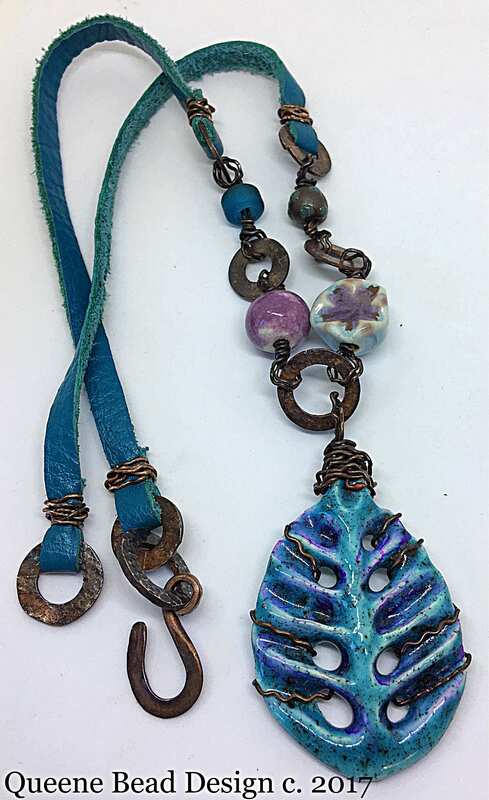 Patinated with LOS to add another layer of color and to highlight the texture of the wire. 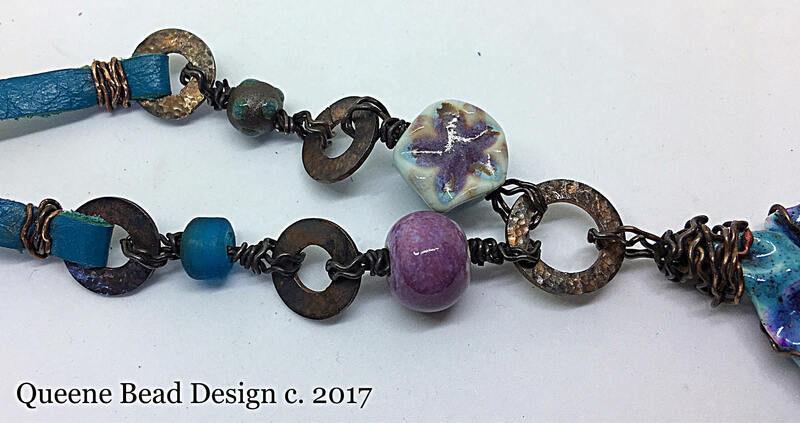 Colors in this necklace are blue, teal, turquoise, pink and copper.